Memory Air is a transpiring, anti-mite and hypoallergenic memory foam mattress. These typical characteristics of memory foams are enhanced in this mattress by the presence of a honeycomb 3D net. This net guarantees a correct air circulation, a good transpiration, and the right air absorption and release; resulting thus ideal to contrast bed sores. All this characteristics combine with the surface ability to adapt to the body shape. 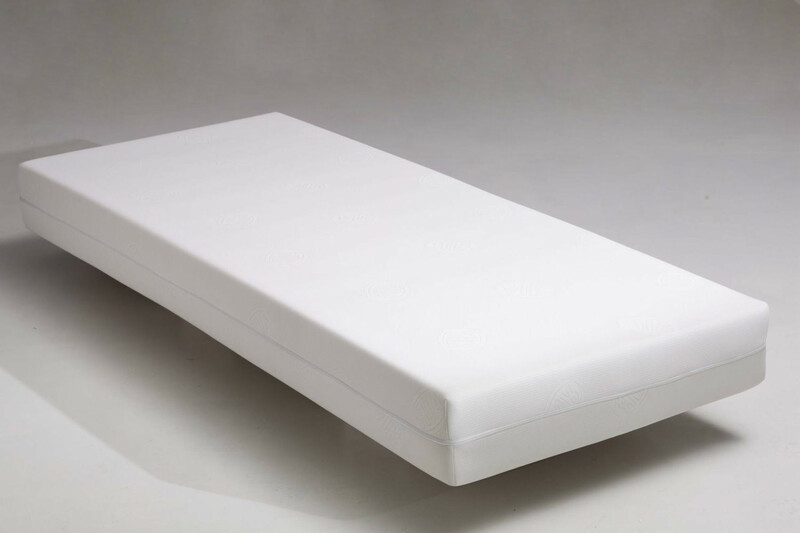 The mattress is then combined with a fabric cover that can be removed and washed, and a cotton underlining that protects the surface increasing its durability. The cover too includes the same technological three-dimensional net, thus increasing its hygienic standard. The sleeping environment created by this mattress is a healthy and salutary one, ideal for a daily and prolonged sleep. If you put a weight on it, a memory surface gets gradually deformed, and, when the weight is removed, gradually goes back to its original shape. This happens thanks to the so-called "shape memory" that makes the pillow very elastic, but also resistant and resilient. Memory is also a material without harmful substances, thus resulting hypoallergenic and creating a healthy and salutary environment. The maintenance of Memory Air mattress requires a few common practices, such as airing the mattress on a daily basis and e turn it once in a while to maintain its surface even.